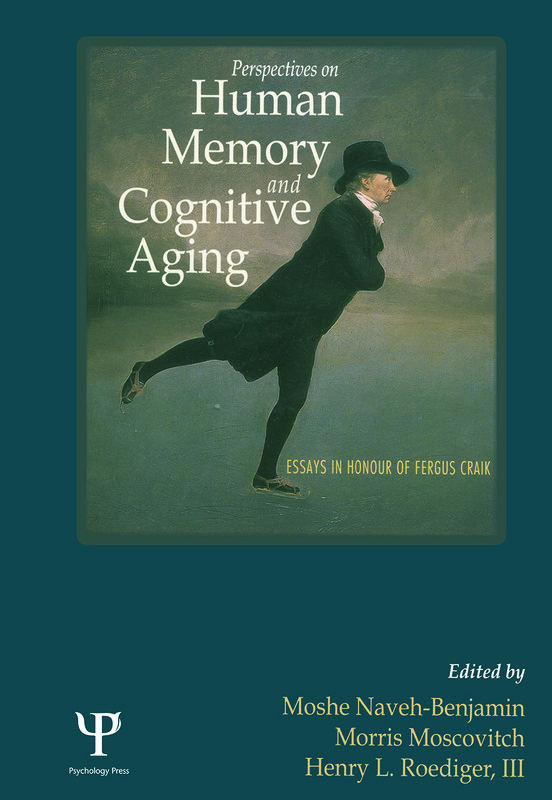 Divided into four parts, the first section of this book deals with levels of processing and memory theory, the second addresses working memory and attention, the third deals with cognitive aging, and the last addresses neuroscience perspectives. M. Naveh-Benjamin, M. Moscovitch, H.L. Roediger, III, Prologue/Preface. Part I: Levels of Processing and Memory Theory. M.J. Watkins, Introduction. E. Tulving, Does Memory Encoding Exist? H.L. Roediger, III, D.A. Gallo, Levels of Processing: Some Unanswered Questions. B.M. Velichkovsky, Levels of Processing: Validating the Concept J.M. Gardiner, A. Richardson-Klavehn, C. Ramponi, B.M Brooks, Involuntary Levels of Processing Effects in Perceptual and Conceptual Priming. B.A. Levy, Fluent Text Processing: Using Memory Representations to Explore Reading Skills. R.S. Lockhart, Discussion. Part II: Working Memory and Attention. M.T. Turvey, Introduction. Working Memory. A.D. Baddeley, Levels of Working Memory. T. Shallice, Deconstructing "Retrieval Mode". Working Memory and Aging. J.M. McDowd, Levels of Processing in Selective Attention and Inhibition: Age Differences and Similarities. D.C. Park, T. Hedden, Working Memory and Aging. M. Daneman, Discussion. Attention at Encoding and Retrieval. M. Moscovitch, Divided Attention, Memory and Neuropsychology. M. Naveh-Benjamin, The Effects of Divided Attention on Encoding Processes: Underlying Mechanisms. N.D. Anderson, The Attentional Demands and Attentional Control of Encoding and Retrieval. C.M. MacLeod, Discussion. Part III: Aging. A.S. Benjamin, Introduction. Age-related Changes in Memory. L.L. Jacoby, E.L. Marsh, P.O. Dolan, Forms of Bias: Age Related Differences in Memory. L-G. Nilsson, Aging, Cognition, and Health. E.L. Glisky, Source Memory, Aging, and the Frontal Lobes. Age-related Changes in Perception and Cognition. T.A. Salthouse, The Broader Context of Craik's Self Initiated Processing Hypothesis. L. Hasher, S.T. Tonev, C. Lustig, Inhibitory Control, Environmental Support, and Self-initiated Processing in Aging. B.A. Schneider, Sensation, Cognition, and Levels of Processing in Aging. L.L. Light, Discussion. Part IV: Neuroscience Perspectives: Memory and Aging. Memory and Aging. A. Randal McIntosh, Introduction. C.L. Grady, Age-related Changes in the Functional Neuroanatomy of Memory. D.T. Stuss, M.A. Binns, Aging: Lot an Escarpment, but Multiple Slopes. P. Vidailhet, B.K. Chrisensen, J.M Danion, S. Kapur, Episodic Memory Impairment in Schizophrenia: A View from Cognitive Psychopathology. W. Koutstaal, D.L. Schacter, Memory Distortion and Aging. G. Winocur, Discussion.